I bought my Honda Unicorn Dazzler on 6th july. I have done two free services and crossed 4700 kms. I need to share my experience with my bike. As Honda says definitely CB Unicorn Dazzler is “life time in every moment”. The semi digital speedo is great. Already bajaj, Hero honda and TVS adopted and now Honda also implements the same. But the thing that keeps it ahead of others is the color of the backlight of the speedo. 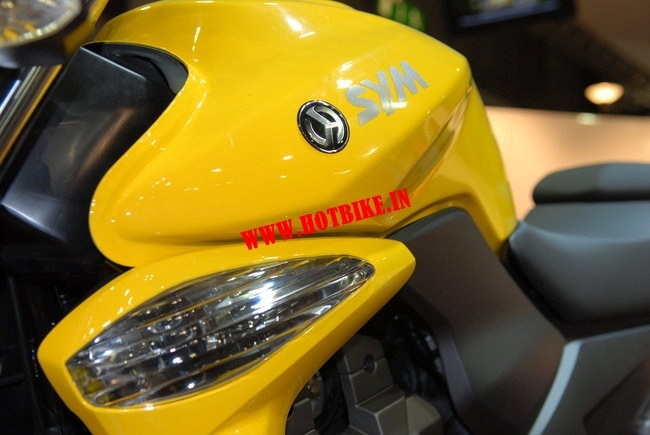 In TVS and Bajaj the color is orange and bright yellow. 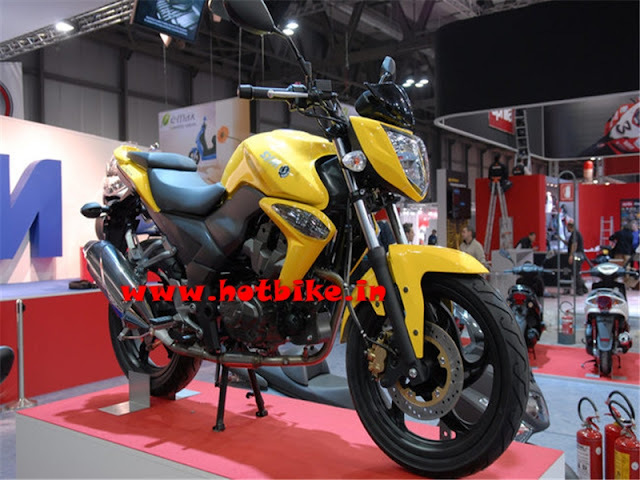 It was the year 2007, when Bajaj launched the Pulsar 220/200 with the oil cooler, and they advertised it as oil cooled bike. At that time I didn’t dwell much inside the all the tech, I just assumed it to be a method of cooling the engine, definitely better than the normal method, that’s why they were advertising it. And then in the year when Yamaha launched the tech-laden R15, featuring country’s first liquid cooled engine, my head went into bonkers. I kept on thinking what exactly liquid cooling is and how is it different from the pulsar’s oil cooler is after all oil is also an liquid. So, some googling and some research on the internet helped me gather some information which I am going to share with you all. No spy photos of the 2 models launching are available. HERE ARE SOME PHOTOS OF THE CEVALO FROM MOTORCYCLE SHOW. Everyone might have heard of the motorcycles powered by DTSI and DTS-SI technology. So here is a quick look at what this technology is and if it is better than the technologies used in a normal (non-DTSI) powered bikes. Aside of making the engine fuel efficient, the technology also enriches the power of the bike. The technology also results in smoother operation, adjusts the engine to varied temperature fluctuations and makes the motorbike resistant too breakdown. Overall, the bikes with the technology are supposed to live longer, run smoother with high fuel efficiency. DTS-SI on the other hand is an upgraded version of the present DTSI technology developed by research and development team of Bajaj and they have patented it too. Under this technology, the digital twin spark plugs are located at same place like in DTSI technology engines but in an inclined or diagonal manner. This offset of things further expounds the process of combustion and makes the ignition of fuel and air faster, resulting in enhanced power and expanded fuel efficiency. The engine becomes powerful and fuel-efficient. The expected life of the motorcycle increases. 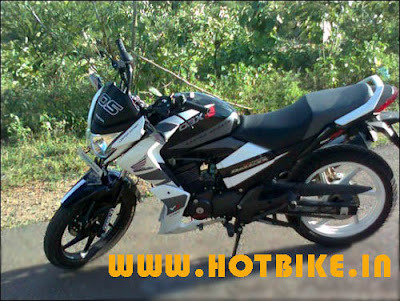 Bikes powered by the technologies are very well resistant to breakdowns and temperature fluctuations. The throttle response considerably enhances. As of now, only Bajaj manufactures bikes with both the technology, as it is the only manufacturer in India holding patent over the technology for small bikes. One classic example of DTS-SI powered bike is XCD 125. This was all about DTSI and DTS-SI, in the next article we will take the concept further to know about DTS-FI. The Mahindra Cevalo comes with different and classy look which attracts onlookers. Mahindra set test drive of Cevalo 125cc at Italy. Mahindra Cevalo is equipped with 125cc engine which is integrated with cooled technology, 4 valves technology with Single Over Head Camshaft configuration. 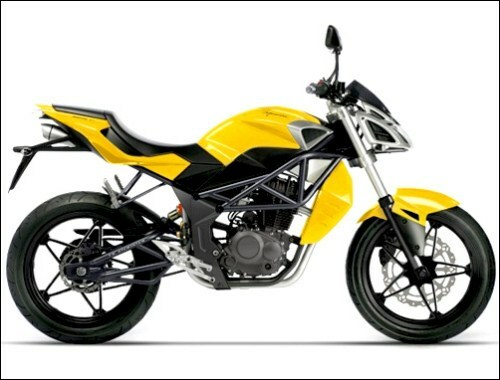 The overall height of the bike is approximately 1050mm, length of 1850mm, width of 495mm, saddle height of 730mm and 1245 of ground clearance. 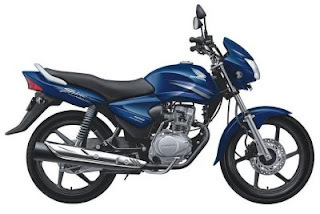 Let’s talk about the Mahindra Cevalo 125cc price, features and specification in detail. First when I look at the bike it doesn’t look much eye catching. But gentle looks and self start in 125 cc machine attracts me more. My bike clocked 40,000 km in 2 years but I never pay a single penny on it except servicing. At first you may think that sitting position is little different than other bikes. Its siting position is really nice which also makes it comfortable for highways. Shine rocks in city traffic. You can start it in any gear and slow down without much shifting. It makes ride very easy in traffic. Also two people can sit easily without complaining it also comes with front disk brakes. But it vibrates above 70 km. The maximum speed is 90 km/hr. Yamaha, one of the finest bike manufacturers, reported a firm hike in sales of 29.6%. 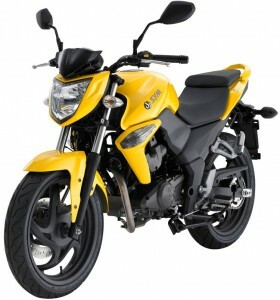 The reports said that Yamaha sold 30450 units this month compared to 23466 units in the same month last year. Yamaha is constantly reporting increasing sales revenues in all the segments of the market like consignment sales, export sales, inter and intra state sales etc. A rise in Yamaha’s domestic growth rate is something to cheer about for Yamaha motors. Domestic sales rose my more than 16.22% as compared to the next year, thanks to their new models viz. Yamaha SZ, SZ-X and YBR 125. 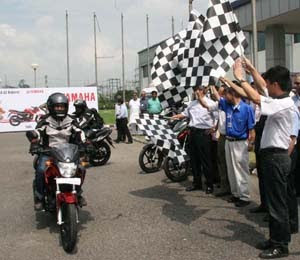 Also with the power launch of R15 has helped Yamaha reach top of the sales chart. As far as the domestic sales are concerned, Yamaha managed to sell a whooping 22672 units this month than compared to 19508 units last year. Also, the exports have drastically improved to 96.51% at 7778 units as against 3958 units last year. According to the CEO of Yamaha, Indian market is ever increasing and good response of people has helped Yamaha reach where it is currently standing. Officials say that Yamaha will continue its marketing strategies to make more and more sales in the near future. After deciding discover to make 2 million a year brand and as the festival season is starting from the month of October Bajaj auto is expanding its capacity at its Pantnagar plant. The company officials said that they are expanding the capacity to 1.8 million units a year from current 1.2 million units a year. The capacity expansion will cost Rs. 750 million to Bajaj Auto. The company expects to complete the capacity expansion work by October end. The major reason to expand the capacity at Pantnagar plant is the tax benefits given in this industrial region. There are so many tax benefits among which a 100% excise rebate for 10 years is major one. 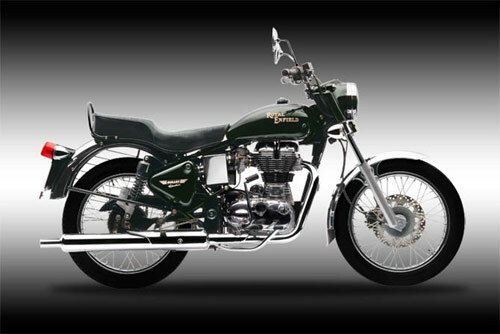 Due to the ever rising demand, Royal Enfield has decided to increase the production capacity in next 18 to 24 months. The officials at the royal Enfield’s are speculating to increase their production capacity to 15000 per month compared to 5000 per month currently. BMW Planning to Enter Indian Luxury Motorcycle Segment! After entry of Harley Davidson, BMW is planning to enter into Indian luxury motorcycle segment. BMW has seen success in luxury car segment of India, now it wants to repeat the same story in luxury motorcycle segment of India. BMW will introduce a selection of the company’s motorcycle range in the Indian market. BMW is abbreviated form of Bayerische Motoren Werke AG (in English: Bavarian Motor Works). IT is a German company which is known for its luxury and performance vehicles. The company will introduce model between 400cc to 1300 cc displacement range. It will first brings its 1200 cc motorcycle via CBU (Completely Built Unit) route. According to company official they are currently investigating whether it’s a good idea or not to enter the Indian market (for motorcycles). They have not taken the final decision but the investigation would be over in the next couple of weeks. They also said that “Motarrads” which is their motorcycle company of core BMW group. sees a huge potential in India and they will soon make an announcement. Another company official said that India is a market that holds great potential for the future for them and is a building block in their global market offensive. The Indian Luxury motorcycle segment is crowded with the models from Yamaha, Honda, Suzuki, Ducati, Harley Davidson etc. According to PWC official this segment is growing at 30-40% due to low base effect. A high import duty of 110% on these motorcycles is a concern but as volume increases this can be reduced by assembly plant. Considering the market growth BMW will surely enter in Indian luxury motorcycle segment. Mahindra and Mahindra is all set to foray into motorcycle segment with the launch of its motorcycle Diablo. Currently it’s producing scooters Rodeo, Duro, Kine and Sym flyte. Mahindra Diablo will come with 300cc, 4 stroke liquid cooled engine, which will produce around 25bhp. The bike will have a six speed transmissions. It will also have inverted telescopic forks and disc brake at both front and rear. As engine generates mechanical power and waste heat energy at the same time, they need cooling to prevent them from over heating and break down. There are two types of engines i.e. air cooled and liquid cooled engines. Liquid cooled engines use a mixture of water and other chemicals like anti freeze and rust inhibitors. While some other, liquid cooled engines do not use any water but special fluids with enhanced properties like ethylene glycol. On the contrary, air cooled engines use air but no water or other chemicals to cool themselves. Liquid cooled and air-cooled engines are interdependent as most liquid cooled engines use some amount of air to cool over heating and air-cooled engines use liquids for cooling down. A motorbike with liquid cooled engines is smoother and more resistant to breakdown than air-cooled. A liquid cooled engine produces more power/torque than an air-cooled one. A liquid cooled engine, since cooled by liquids, maintains a better control temperature. Air-cooled engines are fuel efficient, affordable and require lesser engine space than that of liquid cooled engines. The Maintenance costs of liquid cooled ones are higher than air-cooled engines. Liquid cooled ones are easy to operate (better riding experience) but certainty of liquid spilling out is high. Air-cooled engines are nosier and somewhat harsh than liquid cooled engines. Although liquid cooled engines are quite good as regards cooling, power and efficiency people prefer air-cooled engines because of their cost efficiency, fuel efficiency and low cost of maintenance. However, if you wish to avail more powerful and torque then opting for liquid cooled engines are a good deal. In simple words, go for liquid cooled engines if you need more power and air cooled engine for more mileage. Petrol prices went through a marginal hike on 9th September to compensate for revision of dealer margins. The hike is to the tune of 10 paisa for Petrol and 8 paisa for Diesel. This hike comes after the government hiked petrol prices by Rs 3.50, Diesel prices by Rs 2 in June earlier this year. Current prices in Delhi stand at Rs.51.53 for petrol and Rs 40.18 for Diesel; in Kolkata Rs 55.42 for petrol and Rs 40.02 for Diesel; in Mumbai Rs 55.98 for petrol and 42.06 for Diesel and in Chennai Rs. 55.02 and Rs. 40.15 for diesel. Dealer commission was raised from Rs 1125 per kiloliter to Rs 1218 per kiloliter for petrol and from Rs 673 to Rs. 757 for every kiloliter for Diesel. Dealers have threatened to go for an indefinite nationwide strike from September 20 with demands for an upward revision and a proper rule to set the commission based in line with full deregulation of petrol and partial for diesel. On the contrary, based on unconfirmed reports Shell has dropped prices of its unleaded and premium petrol along with giving away a few toy scale models as gifts. This promotional activity might be limited to some cities only. TVS Motor it will invest Rs. 200 crore by April 2011 to increase its production capacity to 28 lakh units. The company will also set up a design center in Indonesia where it has a manufacturing facility. There is an increasing demand for the company to meet from the existing 21 lakh units per annum. The company is looking to increase export to Sri Lanka, Bangladesh and ASEAN countries. ust like most of you, back when I didn’t have a bike I dreamt of my first bike. It was going to be good looking, stylish, attention grabbing and able to resist the bumpy Indian roads. 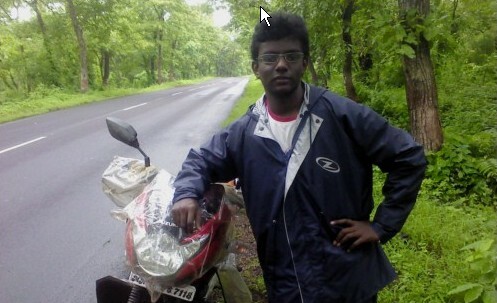 Back then I dreamt of the Bajaj Pulsar 150cc. However, after having heard a lot of complaints about the bike from my friends (exhaust pipe breaking into two pieces, unreliable, unable to be resold after being used etc.) I lost interest in the Pulsar. if you though they are reasonably high, Petrol prices are set to get another hike ‘soon’. According to The Hindu, the Petroleum and Natural Gas Ministry is considering another rise in petrol prices. Though, the increase might not be significantly high but anything in the quantum of Rs 1-2 is being considered. The ministry would decide upon the same after the monsoon session of Parliament in the first week of September. The average crude oil prices are around 81$ per barrel and if they do not soften in due coarse of time, the quantum of increase might increase to a bigger number. This further creates a big concern to the middle class and an uproar is expected in the Parliament in case this decision is announced.